Here at the Scotia Clinic we understand that the wonderful news of discovering your pregnant can bring a wealth of emotions with it from excitement to nervousness in equal measure! Using state of the art ultrasound equipment you can share in the experience of seeing your baby grow and celebrate the milestones of their development throughout your pregnancy here at the Scotia Clinic. It’s important to understand that scanning is a medical process and at all times ensure you are choosing expert ultrasonographers who are highly trained and undergo continuous professional education. Our team here at the Scotia Clinic is led by Dr. Mary McCaffrey and Dr. Halim with a number of ultrasonographers working under their guidance. All scans are reviewed by a medical consultant. Our ultrasound machines are the most up to date available with 3D obstetric and gynaecological software installed. The machines are serviced regularly to ensure the best infection control standards are maintained. All our ultrasonographers are all trained to a high level and undergo continuing professional education. Many couples feel reassured by having a scan during the first 12 weeks of their pregnancy, especially if they have had complications such as previous miscarriages, an ectopic pregnancy or molar pregnancy. At approximately 4 weeks it is possible to ensure the pregnancy sac is in the womb; however, at this stage it would not be possible to see a foetus or heartbeat but it can be reassuring to know the pregnancy is correctly positioned in the womb. At such an early stage, it may be necessary to perform the scan transvaginally to get a clear picture and this is not harmful for the baby. Occasionally, it may be necessary to repeat the scan to confirm dates etc. The most modern methods of screening for Down Syndrome involve a special NIPT blood test which is combined with an ultrasound scan. This test can be performed at the Scotia Clinic from 10 weeks of pregnancy and is more accurate than the NT scan which measured the skinfold thickness at the back of the baby’s neck. While women who are high risk for foetal growth issues will have additional scans as part of their hospital based care, some couples request additional scans. In a growth scan we undertake a number of measurements of the head, abdomen and thigh bone. We assess the fluid around the baby and may look at the blood flow in the umbilical blood vessels. A baseline growth scan is best done around 32 weeks of pregnancy. At this scan, it can be possible to look at the baby’s gender and get some 3D images of the baby. If we feel that there needs to be further interventions we will advise you to return to the Consultant providing your pregnancy care. A Level 2 anatomy can be performed from 18-22 weeks. People often refer to this as a “20 week” scan; however, there can be a benefit in waiting a little longer than 20 weeks to allow the heart to be seen more clearly. The baby’s gender may be identified at this time and it is also a good time to get 3D images of the baby. If couples are having an anatomy scan we provide detailed information leaflet in advance so that they fully understand the scan and its limitations. In a small number of cases a woman may need to return for a second scan if some parts of the baby’s anatomy are not clearly visible on the first scan. 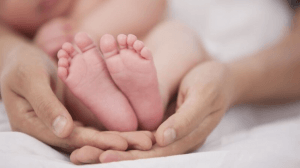 In situations where the opinion of a Foetal Medicine specialist is required your scan images may be forwarded electronically or an appointment may be made for a further scan with a foetal medicine specialist. Some couples may wish to have an early pregnancy scan, anatomy scan and growth scan as part of a combined care package and this can be facilitated. 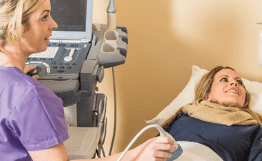 The Scotia Clinic provide their own “in house “gynaecological scanning service including hysterosongraphy for fertility and investigation of heavy periods; this replaces hysterosalpingograms which are radiation based. Gynaecological conditions which benefit from a TV scan include: heavy periods, post-menopausal bleeding, pelvic pain, fertility problems and suspected ovarian cysts. Some ovarian cysts can be drained via ultrasound guidance. The Scotia Clinic provides satellite IVF support in the form of follicle tracking scans for clinics including SIMS, Repromed, Serum(Greece) and Gennet and CUBE in Prague. We will facilitate other clinics on request. Waiting between your scheduled appointments can see long and we can offer you additional scans to offer you peace of mind. You may also choose to have an additional 3D scan as part of your fetal wellbeing scan package to further enhance the excitement of seeing your baby grow. Talk to us today – our experienced & knowledgeable team will answer any queries you may have and will facilitate your booking promptly with no waiting lists!